Kanegawa draws on the know-how of global business from our real estate operations and bases on individual sites to implement a broad range of international trading business operations that respond to a wide range of requirements, including everyday household goods, beauty and cosmetic products, beauty and health devices and medical equipment, as well as research and development of health foods, leveraging on the brand image of Japan. 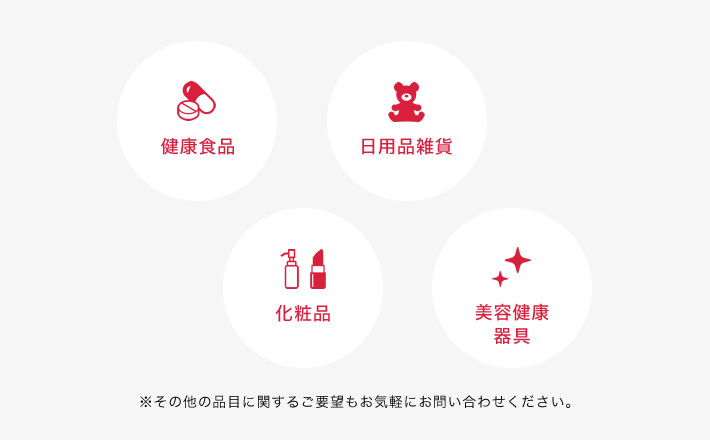 Such activities are conducted in response to current consumer trends in Japan, as well as to supply the global market, which will be growing at an accelerated pace. The trading business operations that are generally known are brokerage business for international trade of funds and goods (taking part in procedures, etc.) or distribution business for procuring goods overseas then selling them in domestic market. Our strength in the trading business operations, however, is in the collaboration with OEM businesses, consisting of the total range of trading activities that include market trend surveys and product development, manufacture and distribution overseas. Our intention is to create products that make our customers happy. We respond to requirements by actively taking part in arrangements starting from planning through production. Patterns are created and products are checked by technical staff with wealth of experience to determine whether our products are attaining the quality expected of our brands in a comprehensive manner. We pursue quality, product inspections and if requested, also arrange for inspections conducted by inspection agencies, to attain customer satisfaction. 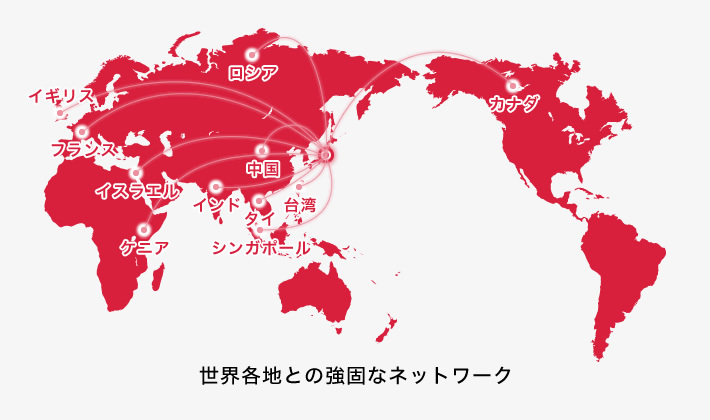 Kanegawa has a strong network that spans across countries around the world, established through trading business operations. We continue to take actions in the future, as we implement our business operations with a broad perspective that encompasses the world as we plan, manufacture and sell products that respond to customer requirements.